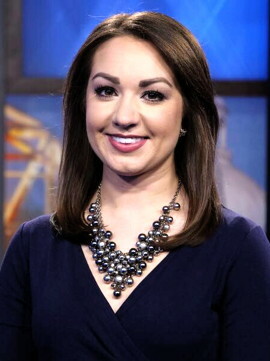 Anchor, Political and Investigative Reporter Alyssa Meisner is available (pronounced "MEEZ-ner"). She says, "I completed up my contract at WOWK-TV and looking for my next opportunity to grow as a journalist. I love sharing stories, exposing corruption and highlight positive projects which impact viewers." From New Jersey, she's now in West Virginia. Contract ended and she decided to NOT sign a long-term extension. Please take a look! See all of Alyssa's clips. WOWK-TV, Charleston, WV: Weekend Anchor, G.A. / Political / Investigative Reporter (June 2015 - June 2018). Statehouse coverage (when in session). Anchor in a commanding, credible and confident manner. Charismatic live reporting on matters of substance in daily newscasts. Constant interaction with viewers via social media. Multimedia Journalist and social media maven. Syracuse University: B .S. in Broadcast and Digital Journalism. B.S. in Communications and Rhetorical Studies. Cameras: JVC Pro; V1U; Canon Vixia. Software/Tools: Adobe Premiere, Final Cut Express, Final Cut Pro X, Audacity, ENPS, Syndicastor, Twitter, Facebook, Pintrest, Instagram, Vine, Word Press, Microsoft. Lon Tegels (former supervisor), News Director, KJNB/WNBJ-TV, Jonesboro, 419-303-4223. Dennis Lortz (former supervisor), retired, 323-333-3700. Mark Curtis (former co-worker), Chief Political Reporter, WOWK-TV, Charleston, 304-416-0603.